Mayukha is a sophomore at MIT. Mayukha has been into math since the fourth grade, when she joined her school's math club. She got off to a good start, winning 8th place at the Math is Cool state competition only a few months after she started. For the next few years, she continued to take part in math competitions, including in national competitions like ARML and NSF Nationals. She has won several awards at the regional, state, and national levels. Then, in 8th grade, Mayukha enrolled in Seattle Science Infinity Club. At first, she did not like science very much, but soon began to love it. She and her team excelled, getting second place in Science Bowl at the regional level, only losing once to the first place team, who also happened to be from the Seattle Science Infinity Club. She also went to Nationals for the North South Foundation's Science and Math Bees and won awards there as well. By this time, she realized a trend that girls were losing interest in math and science. She noticed this trend through direct experience with her classmates and friends, as well as observing at competitions (e.g. she was the only girl in the top ten at the 2012 NSF MathBee Nationals). In order to combat this drop in interest, she decided to form Girls Rock inScience and Math to increase interest for girls in these two subjects and make them enthusiastic participants in all areas of both academia and extracurricular. Tara Krishnan is a junior at Skyline High School and the current President of GRISM. Tara’s became apart of GRISM because she strongly believes in its mission to instill a passion for math and science in girls from a young age. She hopes to excite and interest the next generation of young girls in all the different aspects of STEM. Tara has a great passion for the STEM subjects of biology, anatomy and psychology. She hopes to use her passion for health care to help others around the world. Many of the activities Tara participates in allow her to engage with the community and give back. At GRISM, she hopes to make younger children as excited to learn as she is to teach. Grace Kim is a senior at Redmond High School. She is the GRASS Director. She has been doing and enjoying math starting in fifth grade and have performed well at several math competitions since. She loves physics and coding, and outside of STEM, she loves to draw and sing. When she first heard about GRISM and then GRASS, she became immediately interested in becoming a part of it. Middle school was the time when a majority of her girl friends formed their definite dislike of STEM, which stayed consistent into high school. Through GRASS, she hopes to make STEM more interesting, fun, and useful for the girls, regardless of their attitude when they walk in. Pranati Dani is currently a sophomore at Redmond High School. She loves being an instructor at GRISM, since her STEM journey started by participating in a GRISM’s own GEMS competition in 5th grade. She enjoys STEM fields and teaching kids, GRISM being a perfect combination for her. 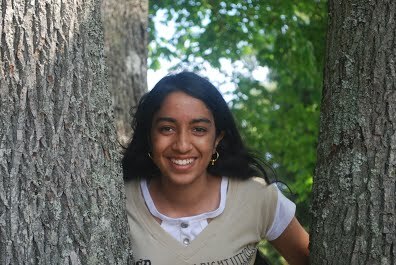 Other than this, Pranati also enjoys debate and is an active member of Redmond High School’s Speech and Debate club. Her other activities include HOSA, MUN and volunteering for UNICEF and Relay for Life. Pranati is also interested in piano, dance and badminton. Just like any other typical teenager, she loves eating, TV and of course sleeping although she doesn’t get too much time for that. I first joined GRISM as a student because I had a strong passion for science and math and I still do. The instructors taught me many things which definitely helped me in school. It is because of this that I wanted to pass that on to other students. I want other kids to learn and have fun at GRISM just like I did.